Over many years the philosopher, Jacob Needleman, has been exploring the nature of consciousness and the search for truth through the lens of the philosophical and religious traditions of West and East. The first book of his I read was at university, 'The Heart of Philosophy' that, in its first part, describes Needleman's experience of teaching an introductory philosophy class and, in the second, looks at the authors of the classical Western tradition, beginning with Descartes, through the lens of his teaching discoveries. Like all his books subsequently, it beautifully evoked the guiding wonder and questioning at the heart of a genuine love of wisdom. It was less interested in the what of each particular philosophy's 'answers' as in how they deepen our critical questioning of the world and how such questioning might lead us to living a fuller, more abundant and good life. 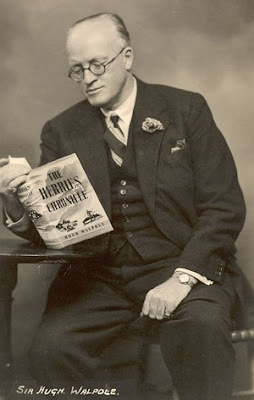 In the 1920s and 30s Hugh Walpole, protégé of Henry James, was a best selling novelist, lucrative and popular lecturer and writer, in Hollywood of the inevitable film script (David Copperfield). This goes to show that fame is ephemeral, as is literary reputation, for many of his books have fallen out of print, disappearing from view. As his friend, J.B.Priestley, noted when he was starting out, he was lauded and supported by the 'highbrows' of emerging modernism but when he became popular (and, thus, inevitably 'low brow') such critical championing vanished not least because there was nothing original in the form of his storytelling. It was a fate that almost embraced Priestley himself until an original and accomplished staging of his 'An Inspector Calls' revived interest at least in his plays, on the coat tails of which new life has been breathed into the novels. No such reinvention has happened to Walpole. After the Bible, 'The Prophet', it is said, is the bestselling book of the twentieth century. It has never been out of print since its publication in 1923 and has been translated into more than forty languages. It may be the most read book of the century, I suspect, given that the Bible is so often possessed without being consumed! Meanwhile, the two texts have often found themselves nestled together: how often has one been to a wedding or a funeral, for example, and had readings from both? 'Jung and Eastern Thought' by J.J.Clarke is an admirable survey of Jung's indebtedness to 'Eastern thought' - Taoism, Yoga and Buddhism especially. 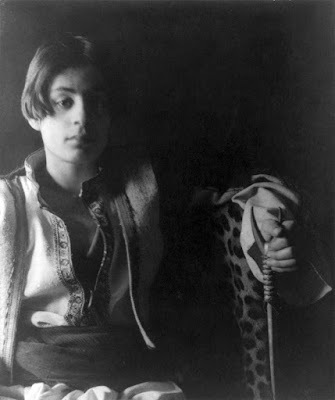 It defends him effectively against most charges of 'Orientalism' and sees his thinking in this space of continuing relevance - though marred by certain infelicities of expression, a certain (and familiar) disorganization of thought; and, the utilization of sources that were (by contemporary standards) inadequately translated. W. Y. Evans Wentz, for example, when 'translating' the 'Tibetan Book of the Dead' did not even know Tibetan and used a Tibetan monk's English version that he then filtered through his own understanding of Vedanta! (This does not detract from the pioneering nature of his work but one does need to step beyond it)! 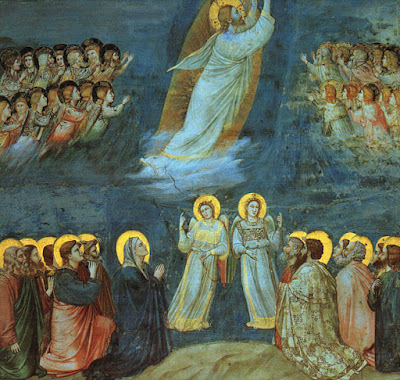 If you approach the Ascension through the lens of the Catholic Church's catechism you have three offerings as to its meaning - the assimilation of Jesus' humanity into the kingdom of God and the prospect of His return, Jesus' entering heaven preceding us giving us hope of doing likewise; and, Jesus as permanently established mediator for humanity in heaven, ensuring access to the continual outpouring of the Holy Spirit. It is the third that has always interested me because Jesus rather emphatically tells us that unless He goes, the Holy Spirit cannot come. I expect you can spill much theological ink pondering why this must be so but it occurs to me that, at least, one potential meaning is that now the focus shifts from Jesus as model to the work necessary to be done by each and everyone of us if we are to be reborn of the Spirit. Early on Monday morning, my aunt died, peacefully by all account, following prayers with the local Chaplain. She was chugging into her mid-90s. My fondest memory was my brother and I being taken to what (in memory) has become my first real restaurant - an Italian one in Birmingham - where our attempt to order the cheapest items on the menu was firmly (and kindly) reproved by her: that would not be necessary. What I did order I cannot recall but it added to my sense that this particular aunt was exotic. She, also, drank wine (the only person I knew who did so) and lager (that became a drink, a pale substitute for real beer, that I forever associated with women though this association, strangely, did not colour my appreciation of wine)! 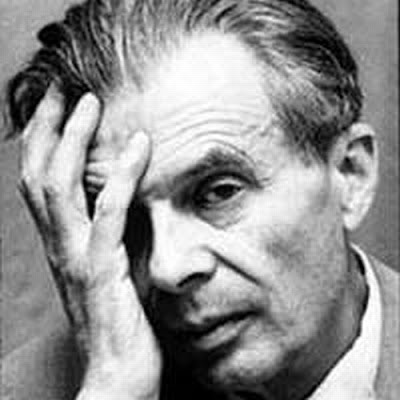 "After Many a Summer..." is not, it must be said, one of Aldous Huxley's best novels for even a novel of ideas needs some form of plot to frame its intellectual explorations and this fable of a search for a means of prolonging life feels too contrived. The threads tend to come loose rather than weave a pattern.